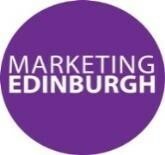 You may be aware of media coverage over the past week regarding proposed budget cuts by the City of Edinburgh Council to the city’s Direct Marketing Organisation, Marketing Edinburgh. As your local Chamber, we would like to take this opportunity to highlight the proposal and the potential impact(s) it may have on the city and our business community. As part of the cuts, it is proposed that £567K (64%) in 2019/2020 and a further £223K (89%) in 2020/2021 is taken from Marketing Edinburgh. Removing more than £0.5M from Marketing Edinburgh’s financial plans would leave Scotland’s Capital as the only major city in the developed world without a Destination Marketing Management Organisation, which includes Edinburgh’s Marketing Team, Convention Bureau and Film Office. These cuts could damage the £72M created by business tourism, the £16M delivered by the film economy and remove the ability for Marketing Edinburgh to rally the private sector. Feeding back directly on the consultation hub, highlighting your views of concerns as soon as possible. Providing a supporting comment to Marketing Edinburgh, which can be included in coming news and features with your permission.